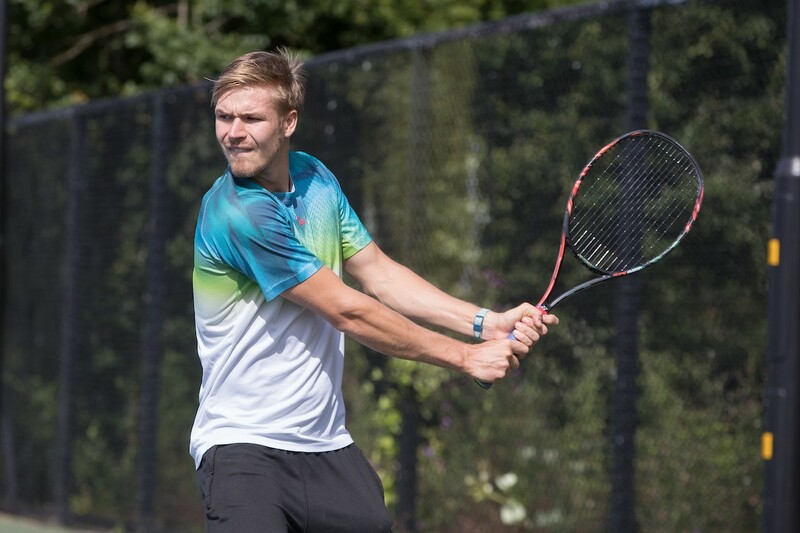 Evan Hoyt has bagged a third doubles title of the year in Scotland. Evan Hoyt is within sight of breaking into the world’s top 400 tennis players. The 23-year-old has shot up 25 places in the latest ATP rankings to reach a career high 414. Hoyt has also moved up one place on the Britain’s rankings and is now the eighth best player in the UK. The right-hander from Llanelli has also hit a new career high in doubles moving up nine places to 247. Hoyt claimed his sixth doubles title of the year in Tunisia earlier this month. In the ITF Futures tournament in Monastir he also reached the semi-finals in the singles before losing to higher ranked Steven Diez of Canada. The Mexico-born player started the year ranked 1100 in singles having seen his promising career hit by shoulder issues. But he has now risen nearly 700 places in the rankings in 2018.